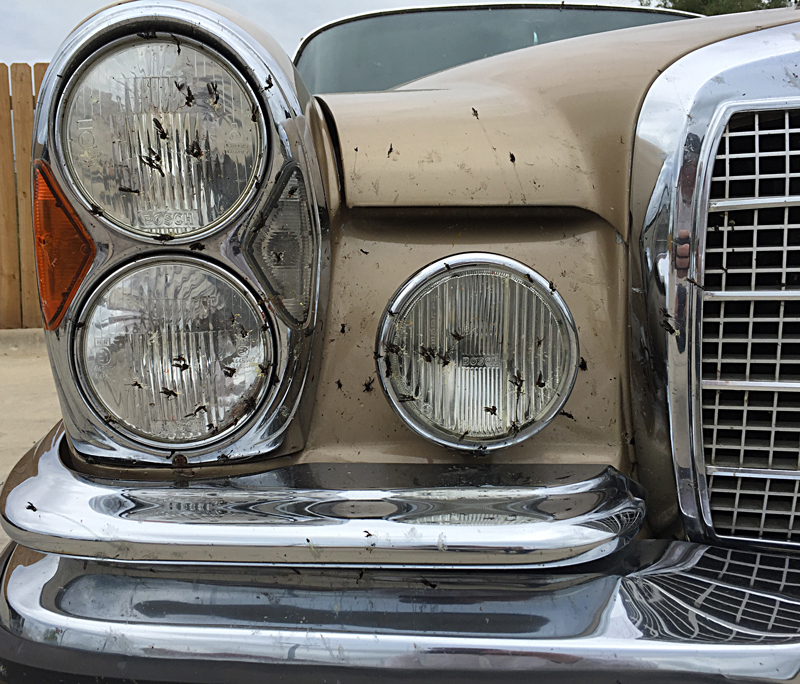 I am a “car guy”… I love old cars. The Coupe is now on BaT. 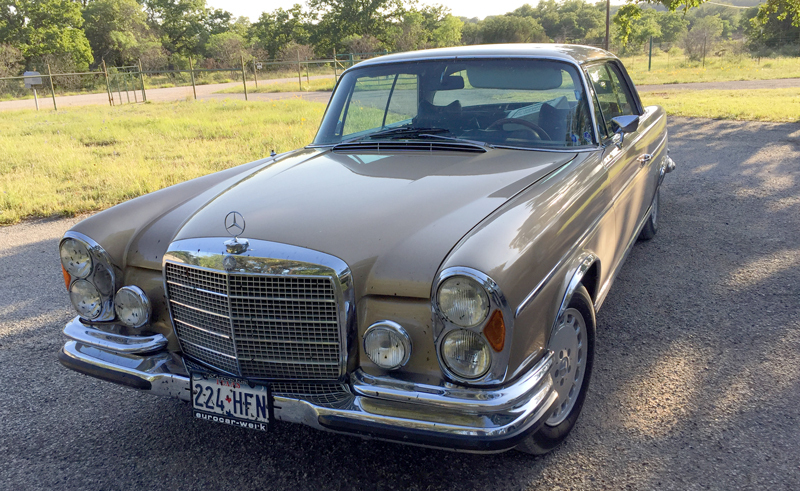 After our road trip, and some attempts at cleaning the New Mexico Road Construction Dust out and off of the car, it has been listed on bringatrailer.com. As I predicted the wheel whiners came out in force, but have since settled down. With a day to go, I’m not sure yet who is serious and who is just a lookey-lou, but I’ve been trying to be helpful as possible to all questions, online and off. Really hoping this one goes to a good home. 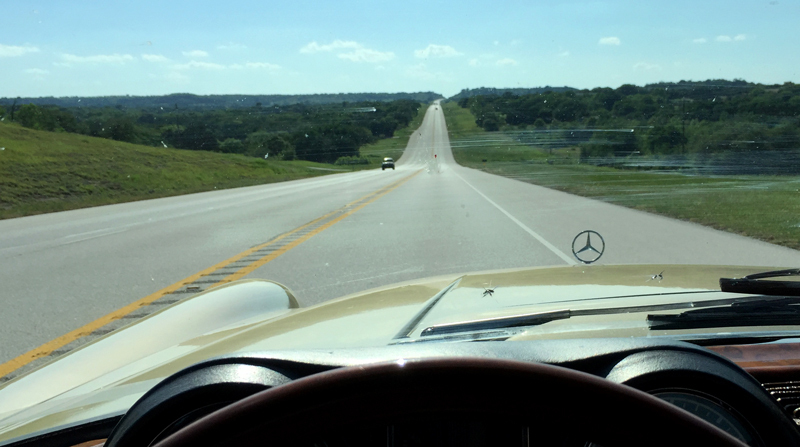 Day One: Houston to Comanche. Day Two: Comanche to Lubbock. Day Three: Lubbock to Santa Fe. 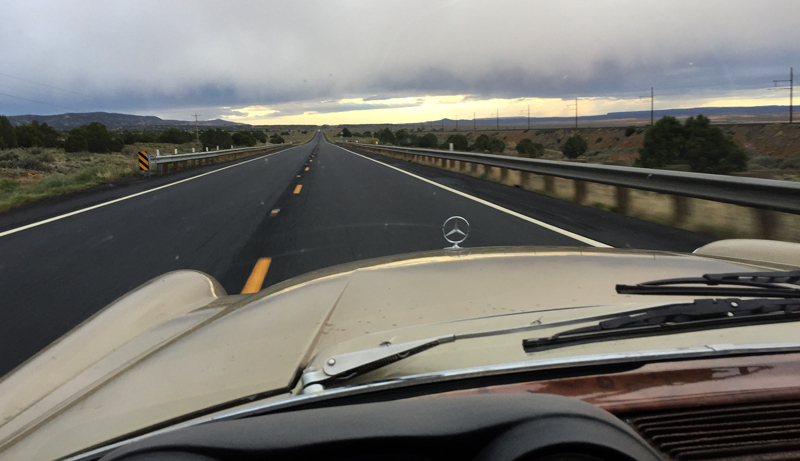 Day Four: Santa Fe to Kayenta. Day Five: Kayenta to Ely. Day Six: Ely to Home. 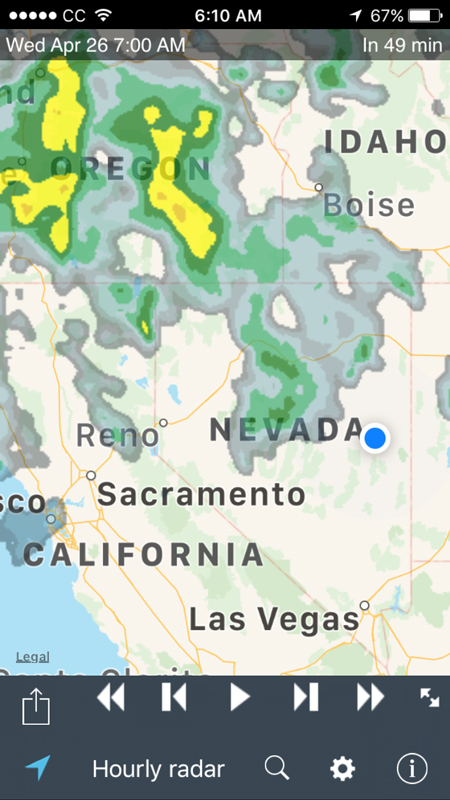 No matter how you look at it, we have a long drive ahead of us today. The space between Ely and home is vast, largely empty, and unavoidable. Both of us are feeling a tad road weary as well. We can “smell the barn” as they say and really want to be home. 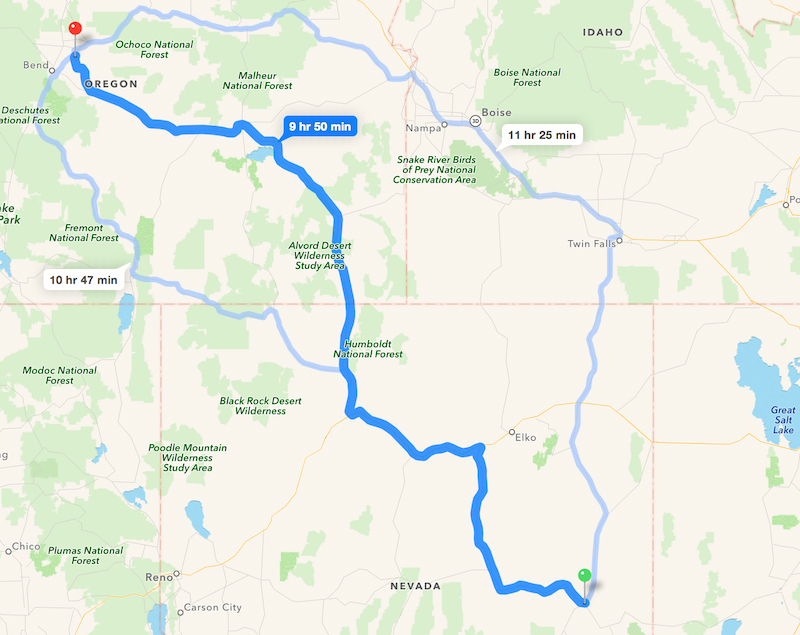 I’ve done drives of this distance many times before, but not since the Cannonball Classic in 1999 have I done them in serial, day after day after day. Mind you this car is far more comfortable than any car I have ever driven long distances, with the possible exception of my 2007 BMW M Roadster. But comparing those two cars is very apples-to-oranges. The BMW is a modern car, built with modern materials, and most differently, it is a very small GT/sportscar. This car is a luxury coupe. Sort of a class that no longer exists. If you think about it, how many two-door cars even exist anymore, outside of the sports/muscle/pony-car realm? The traditional manufactures still make luxury cars, but all of them I can think of are four-door cars. 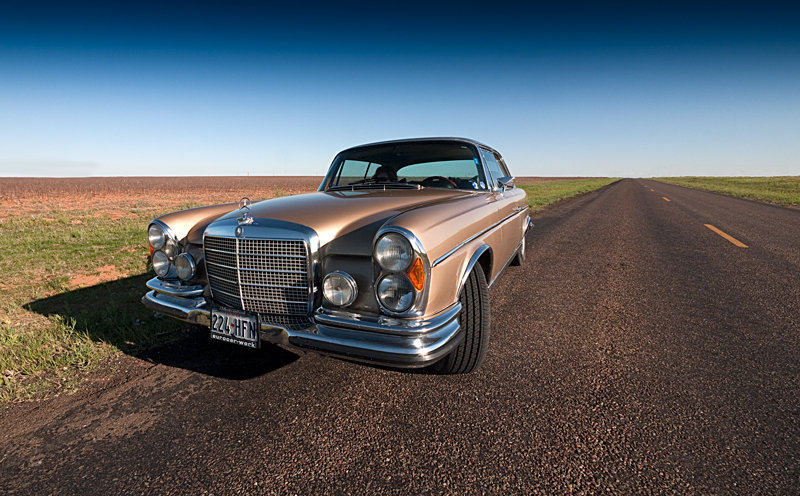 They even have the gall to call these four-door cars “coupes” Back in the day however, two-door luxury coupes ruled the roads, like Tyrannosaurs. 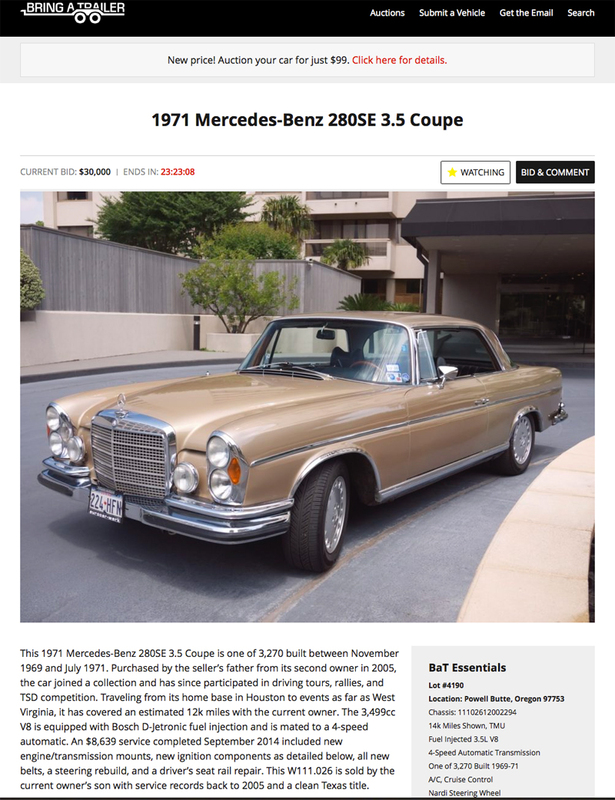 Cadillac Eldorados, Ford Thunderbirds, Buick Rivieras, and of course BMW 6-series, and Mercedes-Benzes such as this one. Big, V-8 power, seats that would feel at home in your living room. Indeed, a living room on wheels. Our road weariness doesn’t come from the car, so much as hotels, and that unsettled feeling that comes from staying in them. While there is a daily routine, it isn’t our daily routine. Our longing is to be home and back into our normal day to day lives. If you are at all familiar with the region displayed above, you know there is a whole lot of nothing along that route. The largest towns along the way are Winnemucca (~9000 people), Burns (~3000 people), Battle Mountain (~2000 people), and Eureka (~900 people). 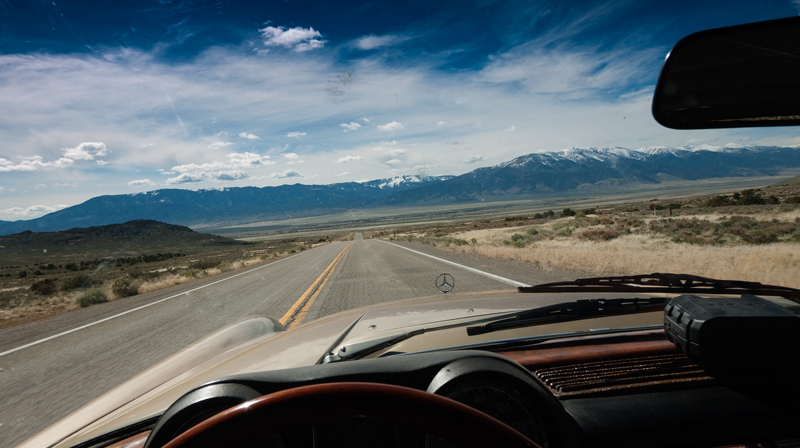 The area between Winnemucca and Burns is vast, and once to Burns, we’re just two and a half hours from home. Did I add that it was backlit by a strong light. Right. Outside. The window. 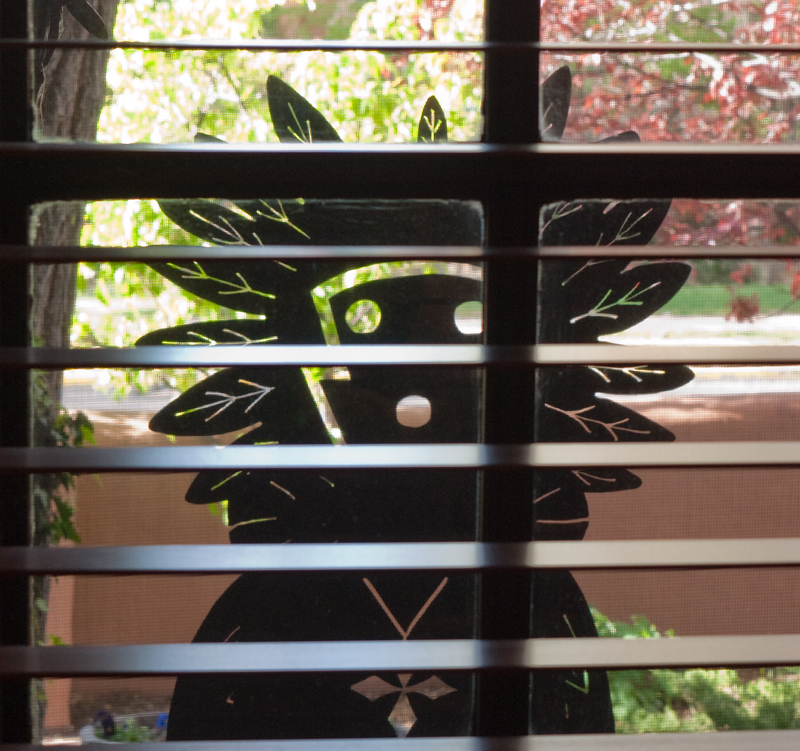 I guess this serves as decor in New Mexico. “Soft Lubbock Breezes” is what I have always called a 20-35MPH wind since I first visited Lubbock in 1981.The wind blows here all the time. In the four years I spent there I can only recall a few hours when there was no wind. Then of course when the weather got interesting the winds would really crank up and get insane. Dust storms, thunderstorms, tornados, snow, and even snowy thunderstorms! I used to say that since there was nothing to look at in terms of landscape, the sky offered all the entertainment. Thankfully today is merely “breezy”, meaning a stiff ~20mph wind. 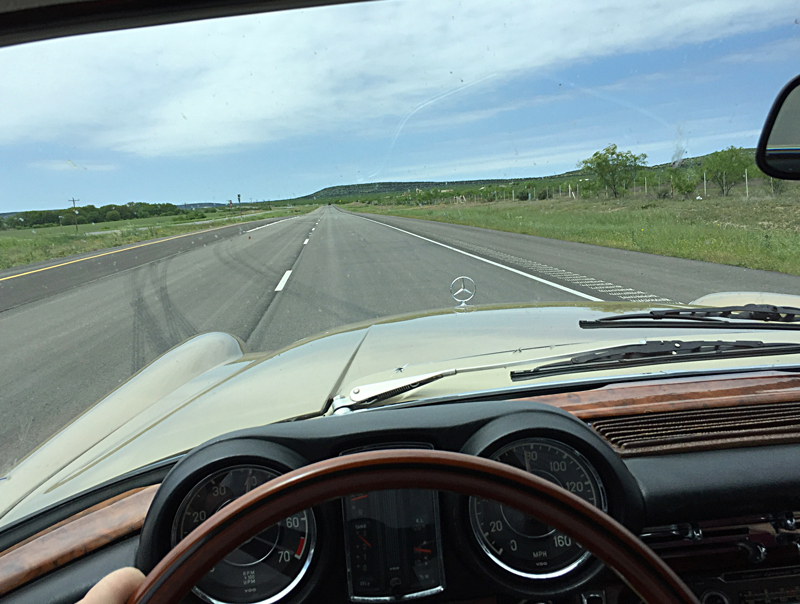 Texas to Oregon in a classic Mercedes 280se Coupe: Day 1, Houston to Comanche, Texas. The greatest of civilizations share a truly singular unit of measure: Roads. Not militaries, nor fleets, nor banking systems. Roads. Great roads are built by great civilizations. The Romans of course took the concept from rough path to fully realized and useful road. The greatest civil engineers ever, the Romans made roads that spanned their entire empire, from the edge of Scotland to the Fertile Crescent and beyond. Those roads largely still exist. I know because I lived very near one when I lived in Wiltshire in the UK. Laser-straight, unlike the crazy, winding roads the British build, this road went southwest from Gloucester, towards someplace NE of Marlborough. Now mostly paved over by the A419, it became a back-road that ran from right in front of the farm we lived on, and into the village of Wanborough. It even maintained its unBritish, very Roman straight line through the Cotswolds and the hills south of the Thames valley. Who knows what the Romans were connecting, but they did it as they did everything; ruthlessly and STRAIGHT. As the Romans did then, so do the Texans now. 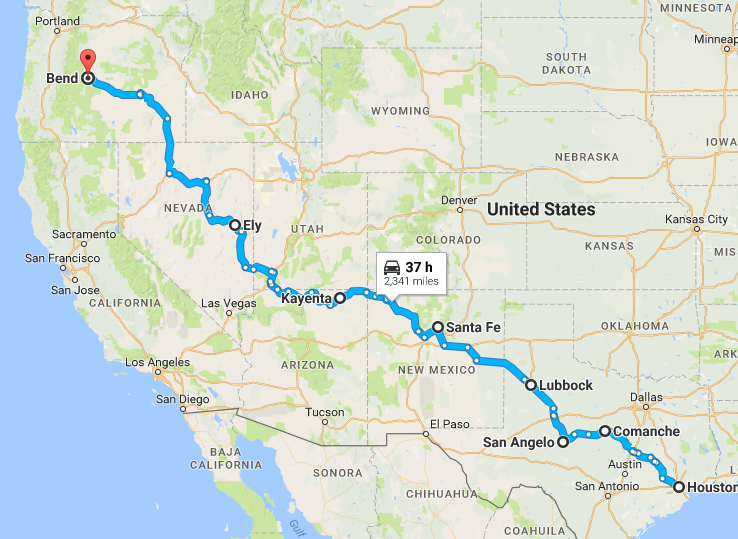 Having driven in all fifty of these United States I have to say that nobody builds roads as well, and with a Romanesque desire for Euclidean geometric precision as the Texans. If it has two lanes, why not make it four? If it has four lanes, why not make it access-limited and build multi-lane frontage roads on either side of it? While we’re at it, let’s make this thang as straight as possible y’all? Gawd, I love ’em. Hate the weather. Could care less for their religion (Football: High School, College, and The Dallas Cowboys are the Holy Trinity of Texas.) Nor am I a fan of the landscape, which outside of a couple creases in the corners where it buts up against the Mexicos, Antigo to the south, and Nuevo to the west but, hot damn ya gotta love those Texas roads! 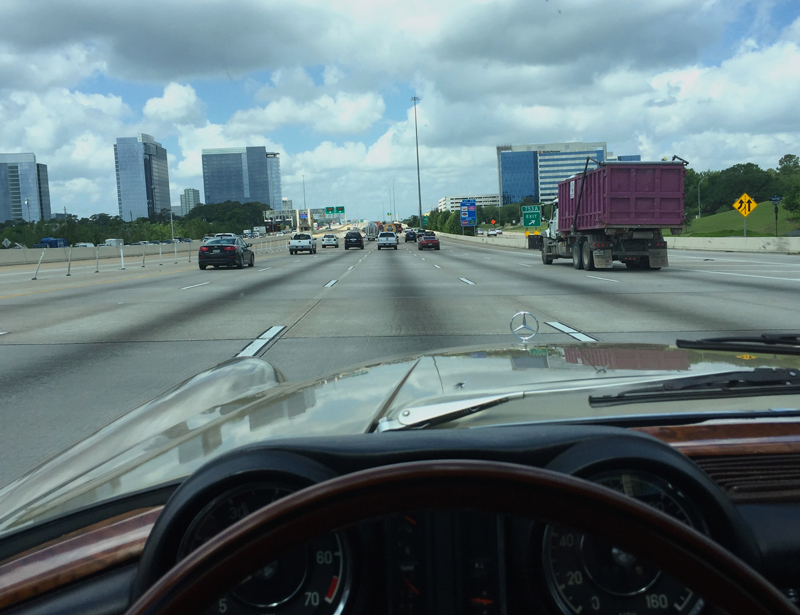 Testa Rossa and I get a late start out of Houston, partly to avoid morning rush hour, but mostly because we’re slow, and know we are not going that far. 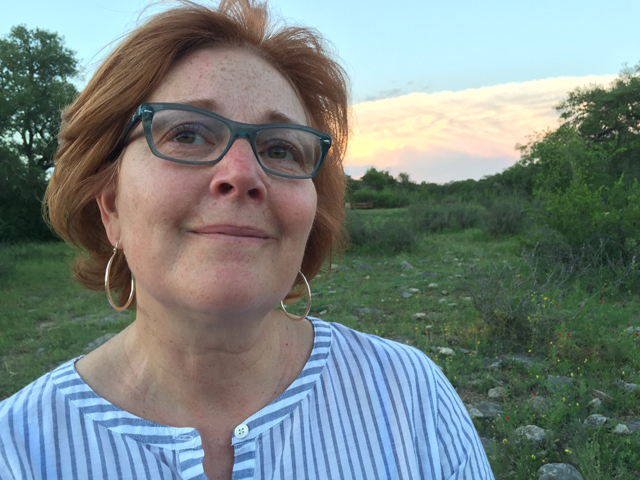 We plan on driving out to a family farm outside Brownwood where Testa Rossa has some memories, and some closure to seek. She was very close to an older woman there for many years. But life and issues put time and space between them, and the older woman passed away about four years ago. They had not seen each other in close to a decade, and the fact that they never had their farewells was a source of pain for her. Knowing that this drive was planned, I offered to make that our first planned stop, and she gladly accepted, made some contacts with the right people to make the arrangements. 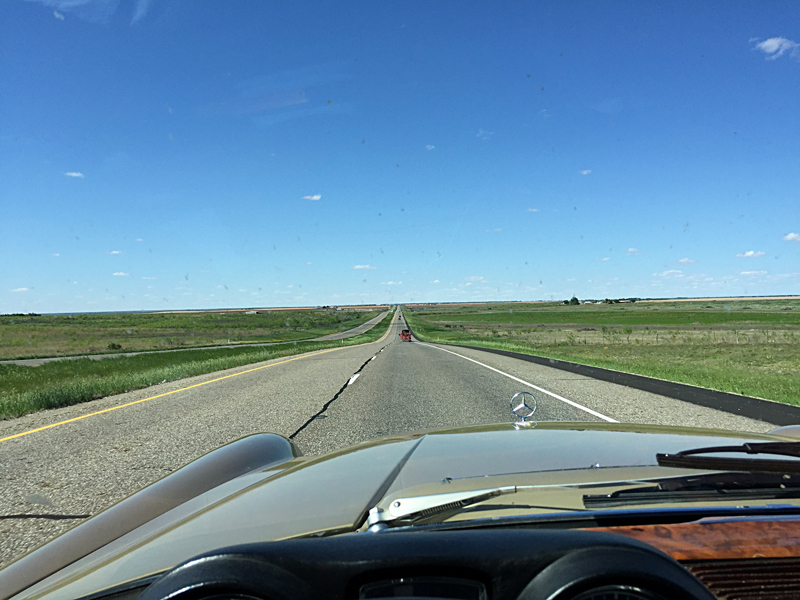 Thirty-some years ago, I too was familiar with these roads, as I occasionally shuttled between family in Houston, and my chosen place of higher learning: Texas Tech University in Lubbock. More on that later, but suffice to say, Brownwood was on one of my usual routes back then, and I knew the way. About an hour west of Houston, we leave the Interstate and strike off northwesterly on Texas State Highway 36. This fine road, which is built to a standard that some states would only reserve for a major US Highway, takes travelers through central Texas. It zig-zags its way between the Brazos and Colorado rivers, managing to thread its way northwest without going through any of the bigger cities and towns of central Texas, such as Austin, or Waco. I chose this route back then as I do now, because you can maintain forward momentum and avoid delay. Texas Highway 36 does go through many tiny towns, each with the Texas trademark town square holding the courthouse, memorials to their town’s part in whatever past conflict (from 1845 onwards), and some unique way of going around said square. Some towns on Texas Highway 36 have a circular roundabout for their square, others have a square you navigate around, others just have theirs off to the side. The largest town Texas Highway 36 encounters is Temple, which has a nice loop road to take you around it. Overengineered roads make Texas travel pretty nice. At Gatesville we leave Texas 36 and traverse due west to Goldthwaite on US 89, then northwest to Brownwood on US 183. The landscape is just starting to take on the slight flavors of West Texas; fewer trees and broader horizons. 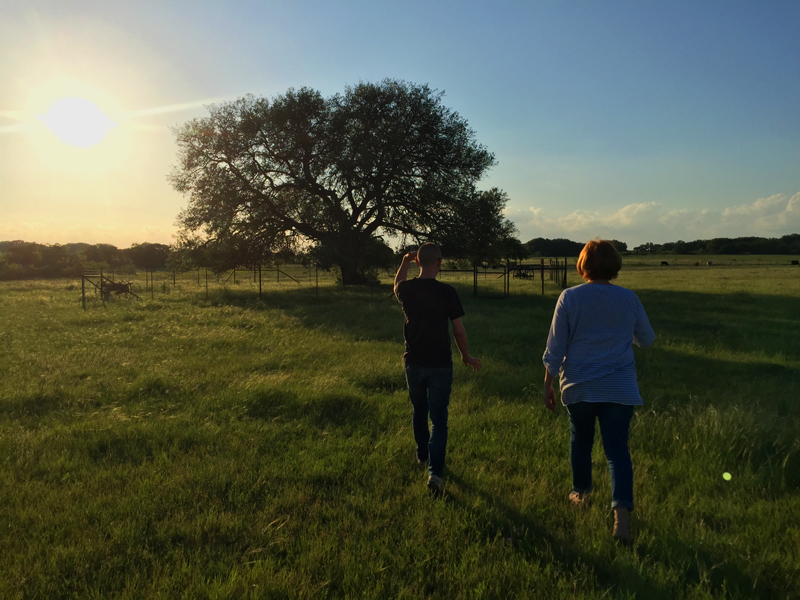 Outside Brownwood, we find the county road, that takes us to the gravel road, that takes us to the family farm. I have no connection with this place, I am merely the driver that brought her here. She has deep emotional ties to this place and that woman who she loved an admired so much. We meet the current caretaker of the property, who Testa Rossa initially mistakes for his father… ah, the genetic blessings and curses we all carry. We walk the property that hasn’t seen Testa Rossa’s footfalls in over a decade. She needs to see her mentor’s resting place, so we head for the tree. Back at the farmhouse we talk into the night. 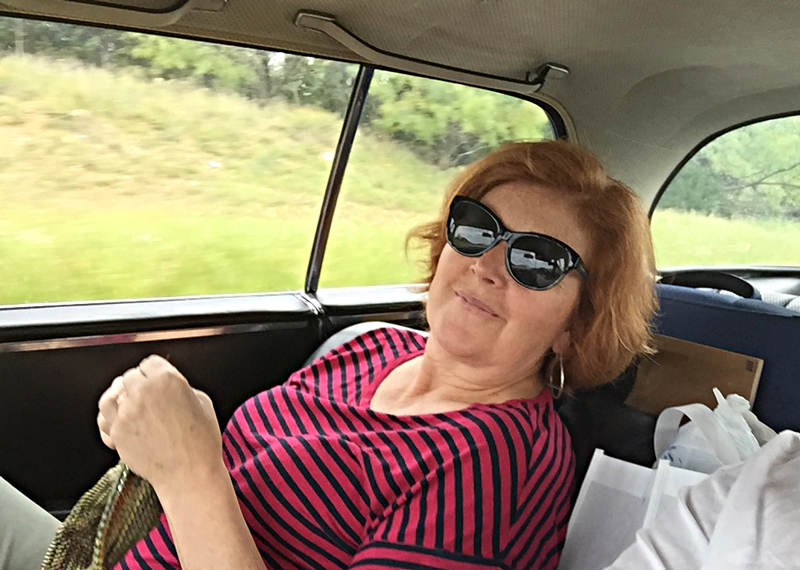 All the words said, we climb into the old car, and drive to Comanche with Texas thunderstorms in the distance to provide a light show, where a hotel room awaits us.